With bulging eyes and clenched teeth he can't stop the inevitable; this helpless dragon is now the trophy of the proudest kitty in the world. "What the Cat Dragin" is engraved underneath. 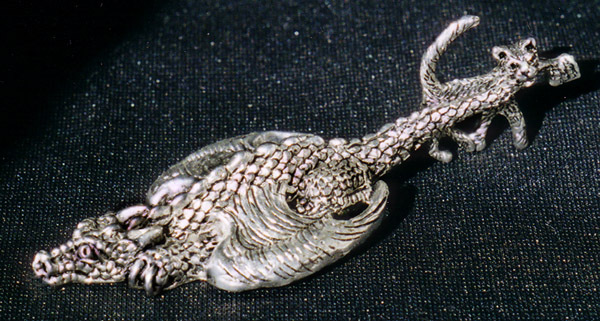 The cat stands 1 1/4" tall, and the dragon is 1 3/4" across at the wing tips.